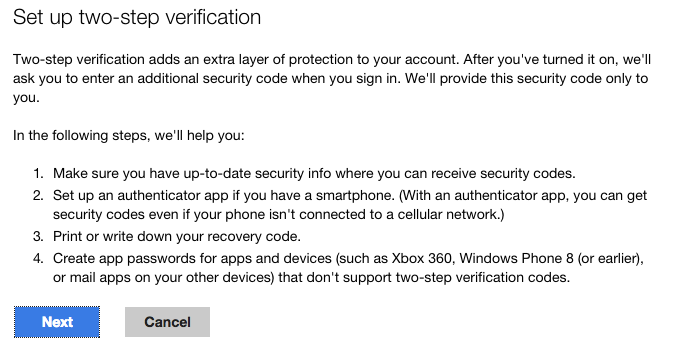 The first step to enable two-factor authentication on your Microsoft account is to sign in to your account settings by going to the following address https://account.live.com/proofs/manage. 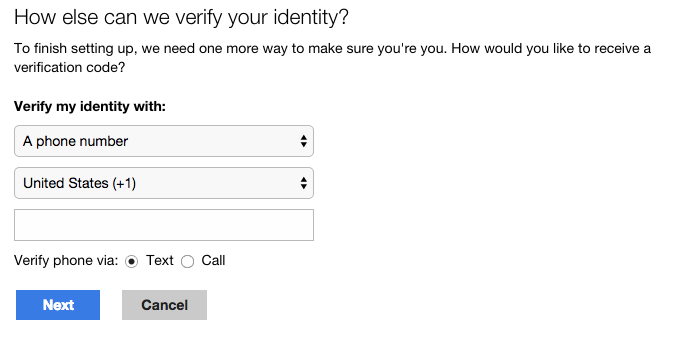 After you log in, you will be asked to verify your identity using a text message or a phone call. 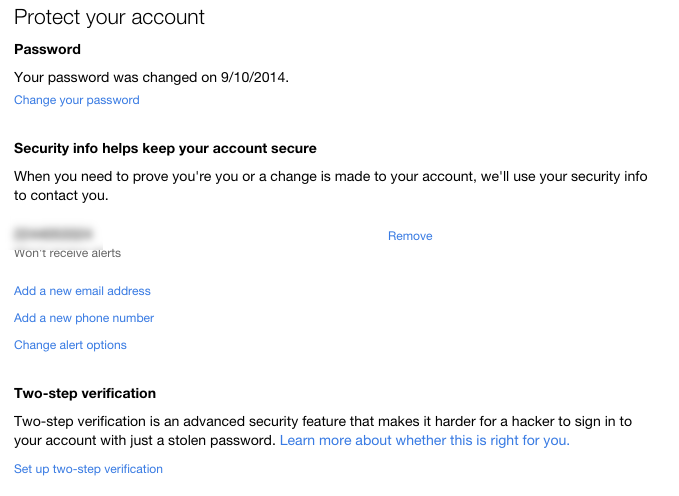 Once you reach the "Protect Your Account" screen, click Set up two-step verification. 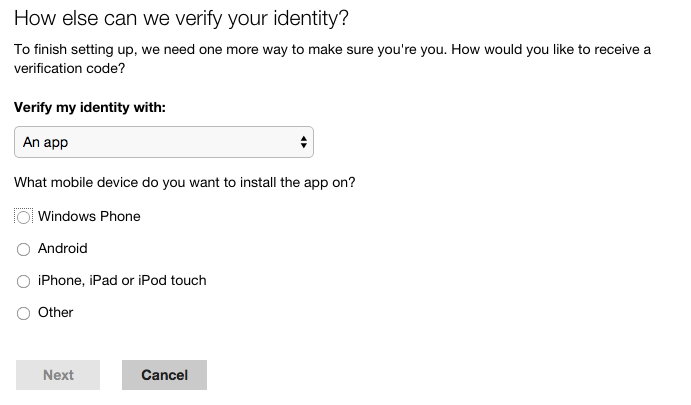 Now you will be able to select what you want to use for your second level of verification. Select an app, phone number or alternate e-mail from the drop down list. 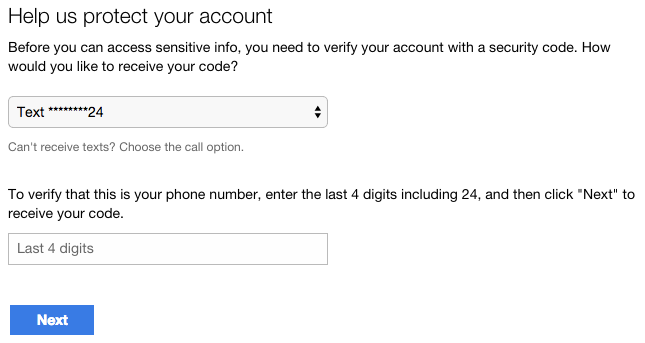 Then follow the on-screen steps for the selected verification type. When completed a special recovery code will be displayed. Save this code in a safe place. I suggest pricning so you have an "offline" copy so that you can get back into your account in a worst case scenario. 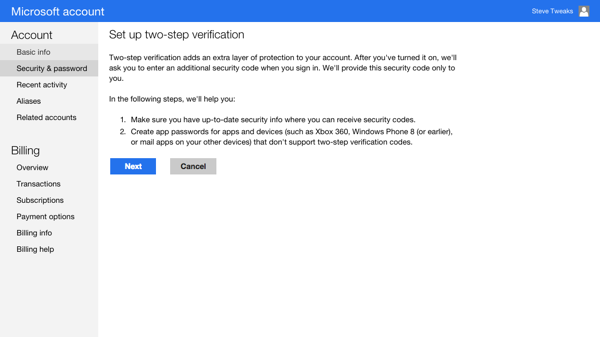 Some Microsoft applications and services do not support two-factor authentication so Microsoft created a nifty work-around called App Passwords that offer a high degree of protection by generating a special password just for a specific application or service. Learn more about how to setup App Passwords here.